Today I had a great opportunity to meet the students from Hope After School Program and introduced our Start to Program from Scratch class with them. Kids are excited to hear the inspiration from Bill Dates Mark, Mark Zuckerberg and others about the importance of computer technology for the young generation. Kids also got to play their favorite Angry Birds game on the Scratch and had a fun time to see a Raspberry Pi robot chasing them around on the campus. I am honored to be there to share the program with the kids. Please join us! if you have any questions, please call 678-923-2719 or email at peter.wang@itwang.org. Thanks. 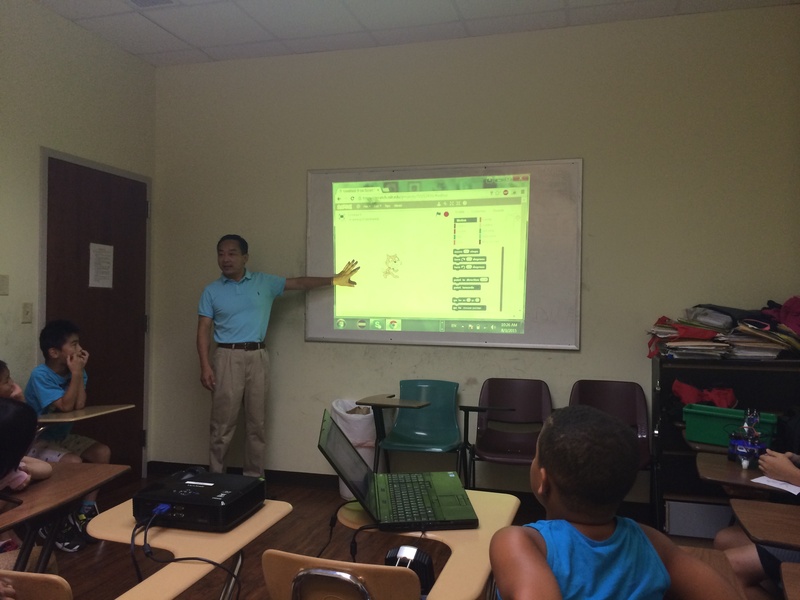 ← Congradulation to Edward Chen and Brandon Wang for winning 2nd place in 5th grade Game Design category at Fulton Technology Fair, 2015.